Hello again, good ladies and gentlemen! On the last installment of The Greatest RPGS You Haven’t Played I left you with a thrilling turn-based RPG in immortal steampunk adventure land, as well as a strategy-based RPG set in the trenches of something suspiciously like World War II. (Except, y’know, with mystical ancient Egyptian laser beams. Like if the Nazis actually HAD gotten the Ark of the Covenant from Indiana Jones.) But enough of that nostalgia! We must press onward into the recesses of bargain bins of game stores everywhere in the hopes of finding the great unplayed RPGs of years past! 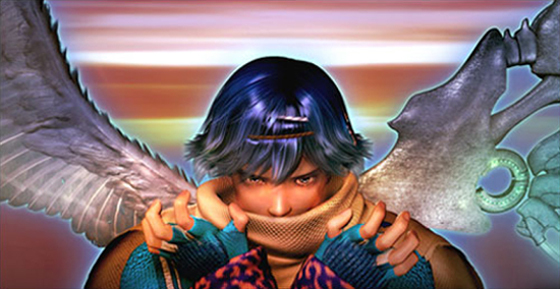 Baten Kaitos was one of a precious few RPGs released for the Nintendo GameCube, and it flew under the radar of most system owners. I only discovered the game for myself when my mother randomly presented me with it as a late Christmas present. The cover art was dubiously eclectic and gave the impression of a poorly funded acid trip, but it was the middle of summer and I was in desperate need of new games to occupy my attention. Thus, I gave the game a shot, and was instantly entranced. Baten Kaitos is a mystical world of floating islands in the sky, most of whose inhabitants possess magical wings. You follow the story of Kalas, a selfish and belligerent protagonist, who thinks that trying to save the world is a ridiculous notion that someone else should have to deal with. You adopt the role of Kalas’ Guardian Spirit, which is basically an invisible voice which only Kalas can hear. Dialogue between the two largely consists of Kalas asking moral questions to the thin air, with the rest of world wondering if the one-winged man is slightly deranged. Kalas meets his Guardian Spirit! The ensuing memory blackouts and spreading wildfires are almost certainly unrelated. After the voices tell Kalas to rescue the RPG Standard Pink-Wearing Damsel In Distress, the plot gets underway. There are ancient ruins which contain a great evil power that was sealed away; some evil god with a silly name is being resurrected somewhere; an imperial nation is invading everyone else; and you’ve got the lucky task of going around and trying to thwart all kinds of schemes! In the turn-based battle system, you draw and select cards from your battle deck to create an attack combo. 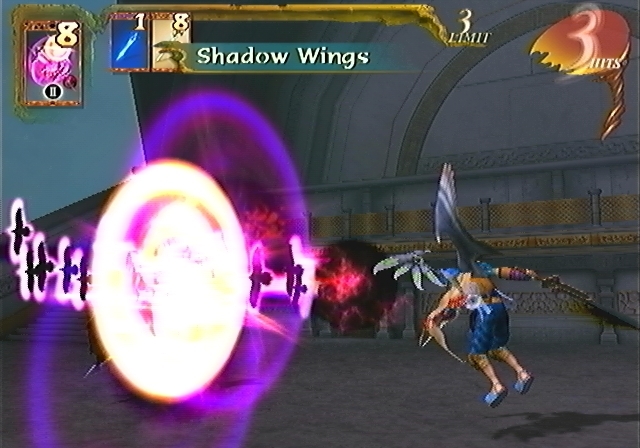 When the enemy attacks you, you can select defensive magnus to block enemy attacks and reduce the damage you take. It’s also important to pay attention to the elemental attributes of each magnus so that you can pinpoint your enemy’s weaknesses (i.e. hit fire monsters with water instead of fire). It’s an incredibly complex system with a lot of subtle facets (such as a card number system), but its intriguing and straightforward enough at the beginning that you can learn more as you advance through the story. As your characters increase their abilities and are able to perform longer combos, you will gain the experience necessary to build their battle decks effectively! 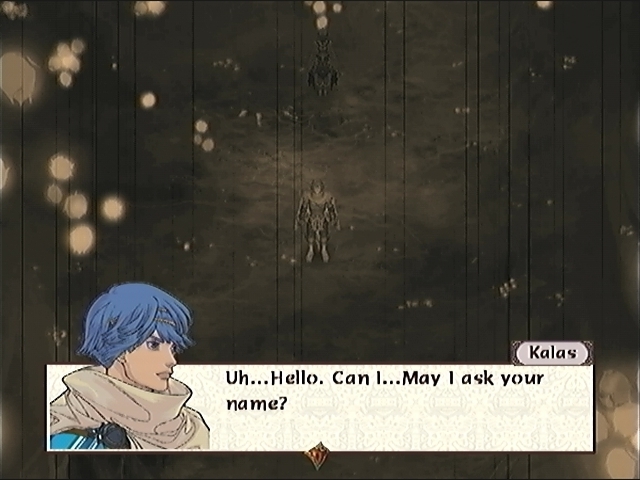 The combat is certainly enjoyable, but what really makes Baten Kaitos amazing is the incredible presentation. For a GameCube game, the visuals are absolutely stunning. I was immediately captivated by the beauty of the small farming village where you meet Kalas, and I was excited to discover each new location as I progressed through the game. Even the overworld map screens are gorgeous, and I found myself frequently pausing at the map screen just so I could watch the clouds drift past. The soundtrack, composed by Motoi Sakuraba, is also a masterpiece. Each track captures the essence of the moment perfectly, and really helps the player get into the events of the plot. 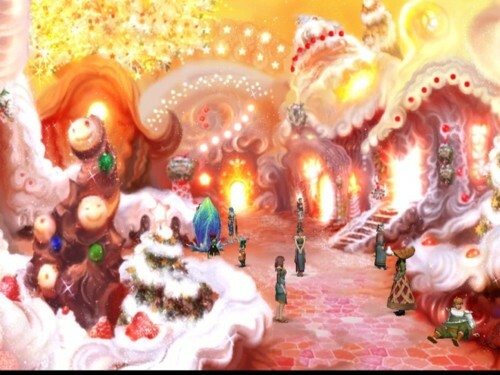 The thing I appreciated most about Baten Kaitos, however, was that each island had its own personality, of sorts. The island where the story begins, Sadal Suud, is presented as a rural frontier island. The people are primarily simple farmers, and there is little civilization amidst the wild mountainous terrain. In stark contrast, the Empire of Alfard is an almost completely mechanized continent. Every surface gleams with a metal shine, impressive war machines sit in every corner, and the people consider themselves to be members of a ruling elite. And then you have the island of Mira, which has an entire town made of candy. No, I’m not kidding. My guess is that Willy Wonka was on the development team. Baten Kaitos appears to start off as a formulaic B-rank RPG, but as the story of Kalas and his allies unfolds, the game reveals itself as a beautiful and incredibly unique experience. It’s ridiculous and flamboyant at times, but it has undeniable charm, and you’ll never play another game quite like it. A single caveat, however: Turn the voices off. For all of this game’s strengths, the voice acting will make you want to shove rusty nails into your eardrums. 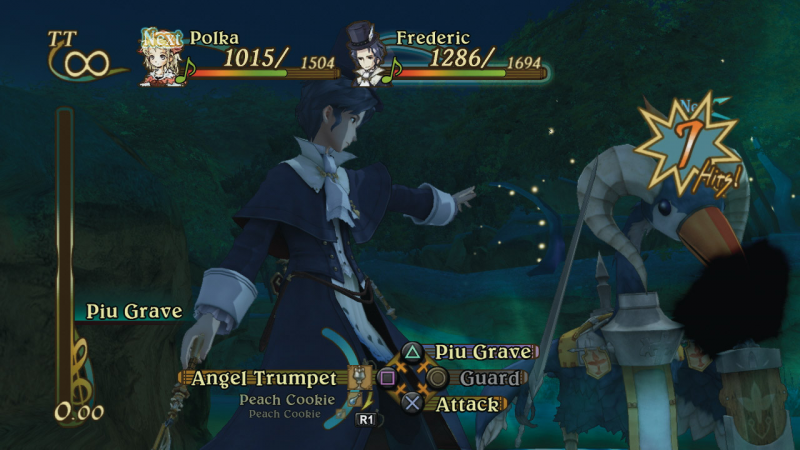 Eternal Sonata is another offering from the development team behind Baten Kaitos, and you have to wonder what substances they’re taking to come up with the premises for these games. The story begins with renowned composer and pianist Frederic Chopin on the night of his death. Before long, the composer finds himself lost in a mysterious land, which he only assumes can be a dream world of his own creation. Other characters scoff at the idea that their world only exists in someone else’s dream, and Frederic is powerless to prove them otherwise. The story then shifts to Frederic joining a dying girl and her companions, who seek to right various injustices in their world. All the while, however, Frederic quietly struggles with separating dreams from reality. Unfortunately, he doesn’t have a totem to occasionally spin. Here's hoping you're not a crazy shade of my dead wife! 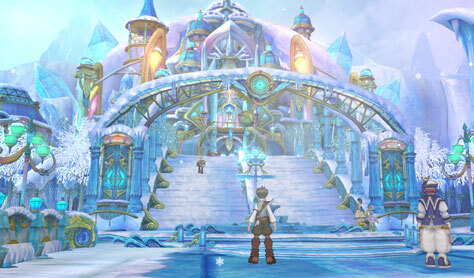 Eternal Sonata is another game which excels in its presentation. Every location is beautifully rendered down to the last minute detail, with designs similar to those found in the Tales series. From the simple sights like sunlight through a small forest to massive, lava-filled caverns, every location has its own awe-inspiring beauty. The plot is fairly straightforward, so there’s not a great deal of room for free-roaming exploration; however, the game also makes it very difficult for the player to “miss” something, and so free-range exploration is not really needed. Progress through the world isn’t quite as narrow as it is in, say, Final Fantasy XIII, but more than once I found myself wishing I could go back and revisit certain areas during the main story. The party finds itself in the beautiful frozen city of Baroque! The musical score stands alone as one of the greatest I have encountered in an RPG, which is fitting considering the game is set in the dream of a dying composer. I have a fondness for Chopin’s music, and it was a delight to hear various themes from his works played throughout the game. The lighthearted “Raindrops” was commonly heard while walking through various outdoor dungeon-type areas, and one boss theme is a haunting arrangement of the suspenseful “Revolutionary Etude.” The entire game is truly a remarkable listening experience. The musical themes are also embedded in the world of the dream as well. Every town, field, and dungeon are named after various musical terms (Baroque City, Mt. Rock, Hanon Hills). Furthermore, every character in the game (aside from Frederic himself) is named after a musical term. To some the musical theme may seem somewhat excessive at times, but the writers did a great job of making it a natural part of the dream world. Combat is a fairly simple turn-based affair, with characters acting one at a time to run up to enemies and hit them until their turn ends. It’s not quite as engaging as the fast-paced combat of the Tales series, but allowing the player to control each party member as opposed to designating some to the AI is rather helpful. Each character has unique special abilities, which change depending on whether he/she is standing in a shaded or light-covered area of the battlefield. If you want Polka (...they could have picked a better name for our heroine) to heal a wounded ally, you’ll have to move her to a light-covered area to use a healing spell instead of an offensive one. Finally, as you progress through the game, you will unlock the ability to power up your special attacks, plus the ability to chain multiple characters' special attacks together in battle. Frederic prepares to unleash a powerful special attack, and he only comes to battle in the finest formal wear. 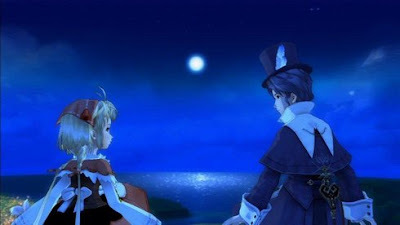 For me, Eternal Sonata best represents the expression “beauty in simplicity.” There’s nothing revolutionary in the combat, and the story is rather simplistic. At the start of the game, the main goal of the party is to seek lower taxes on a certain type of medicine. As the story progresses, the goal evolves into thwarting the power-hungry ambitions of a ruthless Count. It’s a simple story that’s reminiscent of a fairy tale, but there’s a surprising amount of depth that you discover as your characters develop. The game handles the issues of good and evil, love, death, war, sacrifice, betrayal, and perception of reality with remarkable grace. The surprisingly deep fairy tale story, combined with the beautiful audio and visual presentation, make Eternal Sonata less of a video game and more of an interactive performance. 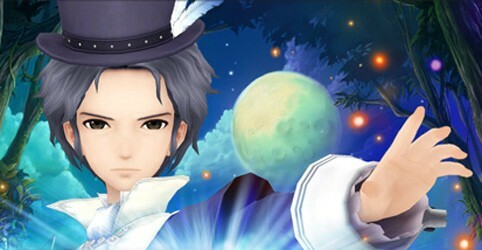 For those of you gamers with an artistic side, Eternal Sonata is a game I highly recommend. However, if you have the option, purchase the PS3 port of the game since it has expanded content, extra characters, and a more fleshed-out story than its 360 counterpart.